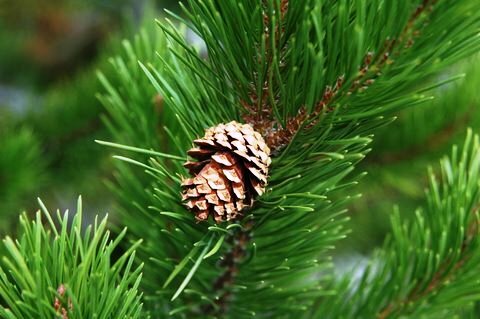 In the early 1900s as the result of the craze for Christmas trees, the natural supply of evergreens began to dwindle. Conservationists became alarmed and began to encourage people to use artificial trees, the early versions consisting of branches of deciduous trees wrapped in cotton. In 1901, Theodore Roosevelt requested no fresh cut trees in the White House out of concern for the forests. But the same year, a wise farmer started the first Christmas tree farm and the rest is history. Nowadays almost all of the nearly 30 million Christmas trees Americans use for decoration are grown on farms—like flowers, or vegetables. But when you realize that a Christmas tree takes six to 12 years to grow, it seems like a lot of effort involved for a few weeks of holiday spirit. Not to be the Grinch here, but when you consider the use of water, pesticides and herbicides, in combination with soil erosion and the energy used to maintain the crop and transport the trees, well….I don’t know. On the other hand, the trees are renewable, provide habitat for wild animals, absorb carbon dioxide and create oxygen, and the industry provides many jobs. Still mass agriculture is mass agriculture, so if you decide on a fresh cut tree follow these tips. Try to buy an organic Christmas tree. Buy from smaller, local farms to reduce transportation miles and support a small, sustainable operation. Recycle your tree! Check your local municipality to see if there is Christmas tree recycling near you. Don’t use tinsel or fake snow spray; they are hard to remove and make your tree ineligible for recycling. So is there any green logic behind using an artificial tree? They save a real tree and they can be reused, it’s true. However…well, where should we start? Three out of four fake trees are made in China under less than favorable labor conditions. Fake trees made in China are required by California Proposition 65 to carry a scary warning label for lead content. The potential for lead poisoning is serious and frightening. If the threat of lead isn’t bad enough, there is the PVC issue. Most artificial Christmas trees are made of PVC (polyvinyl chloride)—often referred to as vinyl, as well as “the poison plastic.” According to the Campaign for Safe, Healthy Consumer Products, PVC is dangerous to human health and the environment throughout its entire life cycle, at the factory, in our homes, and in the trash. Our bodies are contaminated with poisonous chemicals released during the PVC lifecycle, such as mercury, dioxins, and phthalates, which may pose irreversible lifelong health threats. When produced or burned, PVC plastic releases dioxins, a group of the most potent synthetic chemicals ever tested, which can cause cancer and harm the immune and reproductive systems. That is so not festive. It would seem that the greenest way to enjoy a Christmas tree is to buy a live tree to replant when the holiday has passed. However, there are numerous things to consider when exploring this option. Since trees are dormant in the winter, live trees can stay no more than a week indoors or they will wake up and begin to grow again in the warmth. If this happens there is a good chance the tree will not survive once it is returned to the cold winter outdoors. It also needs gradual transition to the interior climate, and then again when it goes back outside. If you live in a climate where the ground will be frozen, you need to pre-dig a hole for the tree before the ground freezes. You also need to research what type of tree will do well with your soil and climate. Some people swear by ornament trees—sculptural arboreal forms to hang ornaments from--and some of those trees are really pretty! Ornament trees can be decorated seasonally and thus used all year, and can be used to clip photos and mementos to as well. You can also make a natural ornament tree by gathering some dramatic dormant branches from outdoors and setting them in a large, weighted vase. And of course, you can always decorate a houseplant. I have seen some fabulous ornament-bedecked, twinkling cacti, or how about a giant rosemary bush that can be planted outside when the weather turns?